[PDF] Help Your Kids with Computer Coding | Free eBooks Download - EBOOKEE! Description: With over 1.4 million computing jobs predicted by 2020, computer programming is one of the fastest-growing industries to date. 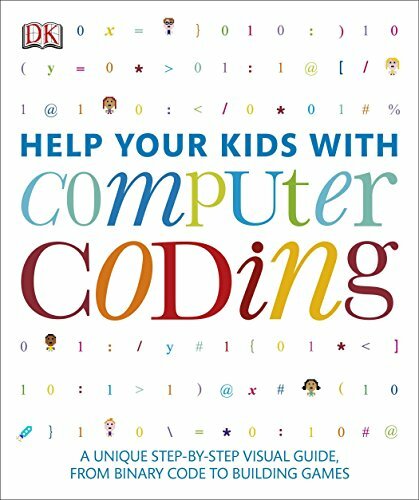 Parents who want to keep their kids up-to-date and prepared for the future will want to read Help Your Kids with Computer Coding. This unique guide is full of fun exercises and helpful tips that will help children learn all aspects of coding. Step-by-step explanations make the complex art of programming clear, teaching the basics of Scratch and Python, and eventually progressing to projects where children can build their own games. Help Your Kids with Computer Coding is perfect for kids looking to take their first steps into programming or for those already interested and excited to learn more. No comments for "[PDF] Help Your Kids with Computer Coding".